And when talking to past participants in the program, the Almond Leadership Program is doing just that. 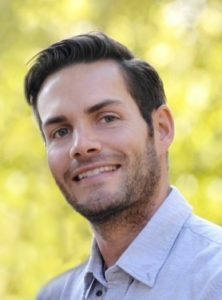 American Western Fruit Grower talked with Jordan Phippen, vice president of Pacific Coast Sales, about his experience in the program and how it has helped in his career afterwards. AWFG: What was your prior background in the almond industry before entering the Almond Leadership Program? JP: My dad was an almond grower in the Ripon, CA, area. He grew up as a grower and eventually started his own brokerage firm. His brothers are processors – their company is Travaille & Phippen, also in Ripon. So I had the background with the family business. But when I went to college at San Diego State University and got a degree in marketing, my goal was to go into sports marketing. But one summer I worked for a handler, Montpelier Nut Company, and just decided I wanted to move back home and get into the family business as opposed to doing my own thing. My company, Pacific Coast Sales, markets almonds, walnuts and dried fruit. We do grow as well – about 70 acres of almonds and 55 acres of walnuts. We are fairly small, but we market 30 to 35 million pounds of commodities a year to Europe, Asia, the Middle East and North America. AWFG: What were your objectives when you applied for the leadership program? JP: I had only been back working in the industry for about nine months, so I was pretty new. I wanted to meet more people and have more contacts in the industry. When I would go to industry events, I was sometimes one of the youngest people there by 20 years. I wanted to meet more colleagues my age, and I only knew a handful of people. I also wanted to learn about aspects of the industry I wasn’t familiar with. I didn’t know a lot about the program going in – it was 2009, the first year it existed. It was a learning process for everybody. I just wanted to take everything in and learn as much as I could in the year I was in it. AWFG: What did you learn that was valuable to you? JP: I gained a lot more insight that I didn’t have before. I learned how the Almond Board functions – how they create their marketing strategy. For me, with my marketing background, the marketing strategy and how they work different countries was the most interesting thing. But it was also interesting to experience all aspects of our industry. We visited processors and saw how product is packed, we visited beekeepers to see how they do things, and visited American Ag Credit and learned about the banking side of the industry. We saw all the moving parts. AWFG: If you had to choose one aspect of the program that was most important to you, what would it be? JP: It would have to be the people I met – making contacts with handlers, other brokers, trading companies, etc. I have good friends I made in the program who I talk with every day and who do what I do. We can talk about the market, what prices are doing, different strategies and share information. That kind of thing is invaluable to me. AWFG: How well does the program do at teaching leadership skills? JP: It does a great job at bringing in younger people, giving them a lot of experience early on and providing the opportunity to meet a lot of really good people. It gives them the tools to succeed early on – they have the contacts, they have the knowledge base. That goes with them; it doesn’t end with the end of the program. If participants stay involved in the program like I did and some of my other friends did, then they can pass on what they’ve learned. AWFG: How have you used the leadership experience you gained in the program? JP: One direct way is that I became a mentor in the program. Every participant has a mentor who is already established in the industry. I wanted to stay with the Almond Board; the program did a lot for me. So when they asked if I would be interested, I said yes. It’s nice – to see your mentee reach out to you and ask questions about your business. We talk quite a bit, not just about the program, but about the industry and the market. I try to give mentees insight on what I do and see how I can help them. I hope the things I learned will help me grow my business in the future. I’d like to stay as involved as possible with the Almond Board, too. AWFG: What would you say to someone considering making the commitment to participating in the Almond Leadership Program? JP: I would say absolutely apply for it. If you don’t get in, keep trying each year. It’s important. I think you will learn quite a bit and make some really great contacts – not just with your classmates, but with people at the Almond Board. They are very helpful, and you can reach out to them with any questions you have. The program is really important for the future of the industry.